Dr. Mieler is an expert in treating diseases of the macula, retina and vitreous. His primary research interests are ocular pharmacology, exploring drug delivery to the posterior segment of the eye, uptake and potential toxicity of topical, periocular and systemic medications, intraocular tumors and response to therapy and ocular imaging. He also participates in numerous national clinical trials for the treatment of age-related macular degeneration, diabetic macular edema, venous occlusive diseases and vitreoretinal interface disorders. 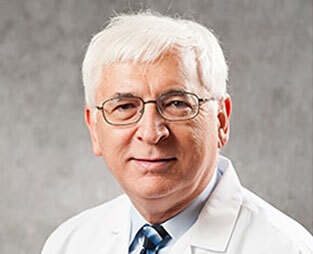 Dr. Mieler received the Life Achievement Honor Award from the American Board of Ophthalmology (AAO) and served as its director, vice-chair and chair. He is a past president of the Macula Society, which awarded the 2013 J. Donald Gass Medal to him for his outstanding contributions to the study of macular diseases. He has published 330 peer-reviewed articles, 70 book chapters and edited or co-edited six ophthalmic textbooks. He has delivered 19 named lectures, served on editorial boards for three ophthalmic journals and is a reviewer for 22 additional journals. He is Retina Section Trustee and President-Elect of the Association for Research in Vision and Ophthalmology (ARVO).Dr. Mieler also served on several committees of the American Board of Medical Specialties. He joined the Illinois Eye and Ear Infirmary in 2008. Dr. Mieler is board certified in ophthalmology.